Wood waste is the second-largest component of construction and demolition (C&D) debris after concrete. It contributes 20 percent to 30 percent of the building-related C&D total. Overall, wood accounts for around 10 percent of all material deposited in landfills annually. This statistic is a concern to policymakers, who observe that the recycling rate for C&D derived wood is considerably lower than for other C&D materials such as concrete and structural steel. 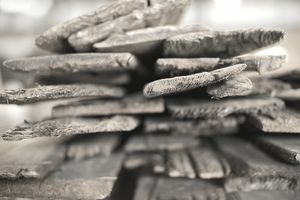 For example, the rate of concrete recycling is about 82 percent, according to the Construction Materials Recycling Association (CMRA), while the recycling rate for structural steel is around 98 percent, according to the Steel Recycling Institute. Around 70.6 million tons of urban wood waste was generated in the U.S. in 2010, including 48 percent from municipal solid waste and 52 percent from construction and demolition (C&D). Several years ago, the Construction Materials Recycling Association estimated that a further 29 million tons of waste were available for recovery after allowing for current levels of recovery, combustion, and unusable material. While CMRA does not have a more current figure available, it notes that there has been a rapid expansion of recycling activity in the industry since that time. For C&D wood waste, in particular, the total annual generation is estimated at 36.4 million tons, with 29.7 million tons derived from demolition activities and 6.7 million tons from construction. According to a U.K. study, about 10 to 15 percent of the wood used in new construction ends up in recycling or waste streams. After current recovery efforts or wood unavailable for recycling due to chemical treatments or other issues, there remains an untapped resource of 17.3 million tons of urban waste wood available for recycling on an annual basis. Wood waste from C&D activities is typically delivered to wood waste recycling operations for processing, although a small market exists for salvaged timbers, boards or other components. Most C&D related wood is received at mixed C&D processing facilities. The material initially may be sorted by heavy equipment such as front-end loaders or excavators depending upon the material type, before being fed to an in-feed system. For large pieces of wood debris, bulk reduction equipment such as a compactor or hydraulic shears may be required to reduce material sizes so that it can be inducted into the wood grinding system. Conveyor systems also encompass features that allow for further sortation of foreign materials, including ferrous metal, before entering the grinding equipment. After screening to the size required for a particular fiber requirement, the product is available for sale. The recovery and reuse of lumber are rapidly growing in popularity, albeit a tiny niche in terms of overall volume. Recovered wood is increasingly coveted by architects and homeowners. Unlike other recycled materials, recovered lumber often sells at a premium to new material, due to the labor involved in deconstruction and further processing to remove old nails or to re-machine. Markets for recycled wood include landscaping mulch, bedding material, boiler fuel, as well as fiber for composite board products, including Presswood pallets, and pellets.